CAIRO: Egyptian President Abdel Fattah al-Sisi said on Wednesday that a “breakthrough” had been reached in talks with Sudan and Ethiopia over a controversial dam that the latter is building on the Nile. The progress, which he did not specify, took place over the last two days as the three countries’ foreign and irrigation ministers and heads of intelligence met in Addis Ababa on Tuesday. “The delegation that arrived early this morning spent all of last night in meetings and discussions over this matter and I can say that progress was made in the negotiations with our brothers in Sudan and in Ethiopia,” said Sisi. Egypt, which relies almost totally on the Nile for irrigation and drinking water, fears Ethiopia’s Grand Renaissance Dam may reduce its water supplies from the Nile. Talks on the issue involving Egypt, Ethiopia and Sudan have been deadlocked for months. 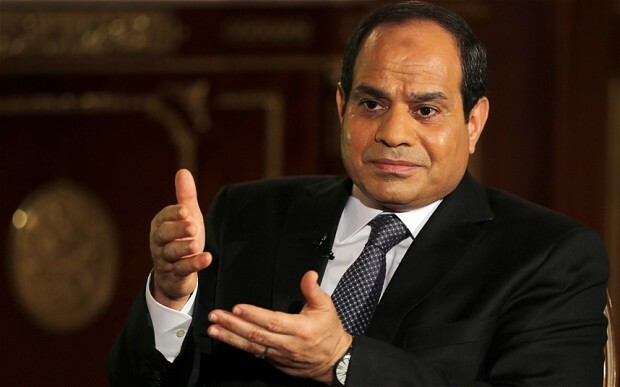 Sisi cited an announcement during a meeting between Sudanese President Omar al-Bashir and Ethiopia’s Prime Minister Abiy Ahmed in Sudan “that Egypt’s share will not be affected”. “We just want to transform these statements to procedures so that we are talking about specific commitments that we must all implement and operate with,” Sisi also said. Ethiopia’s newly appointed prime minister, Ahmed, had said on May 3 in Khartoum, after a meeting with Bashir, that Ethiopia had no intention of harming Sudan or Egypt with its dam.